TF Sauna - the original template for creating websites dedicated to health and beauty, from the trading floor ThemeForest. Template used for platform Warp framework, provides adaptive layout design that supports any mobile device optimized code files compatible with all browsers and faster page load speed. In the assembly includes additional third-party extensions that allow you to create user-friendly online directory of articles, visual gallery of images with a variety of different effects, display materials in the form of tabs and more. 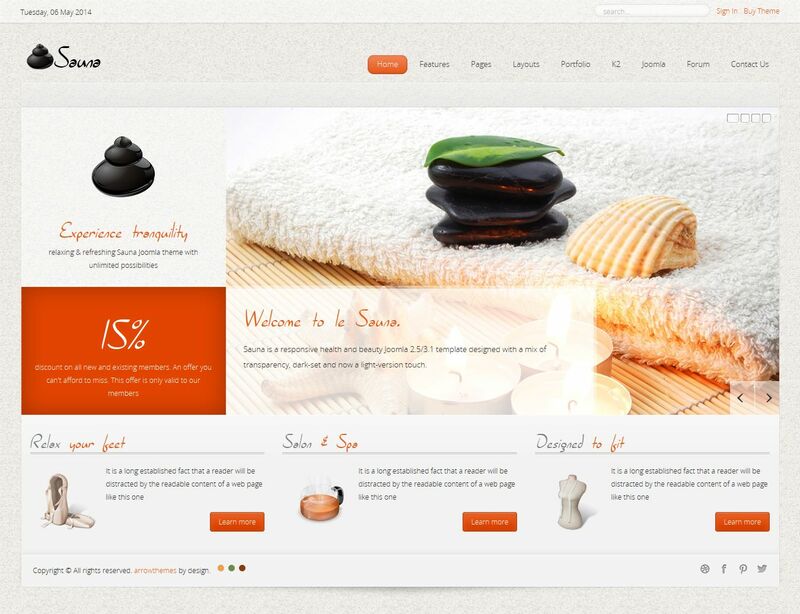 This template is perfect for creating websites beauty salons, SPA and wellness center.